Exclusively Ours! 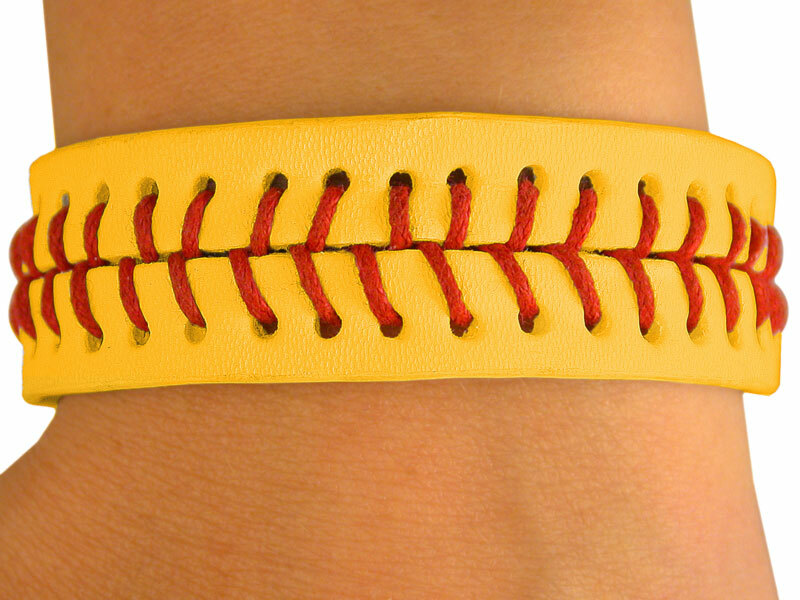 The Original & Only Girls Softball Velcro Bracelet Is Designed With Softball Stitching. 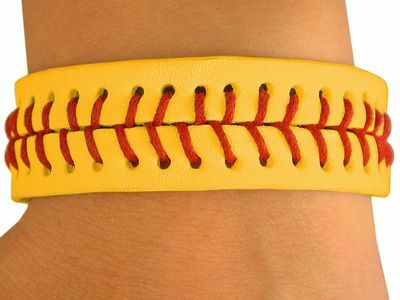 Adjustable, Fits All Sizes! Some Say, "If You Rub A Little Home Plate Dirt Into The Band, You Will Hit & Throw Better!" We Don't Know If This Is True or Not! However,Some Say, "It's Magic". One Size Fits All: Children To Adults!